The Consumer Rights Act 2015 is now enforceable by law, giving consumers far greater recourse in the event of a problem with a purchase, when paying for a service or when signing up to a contract. 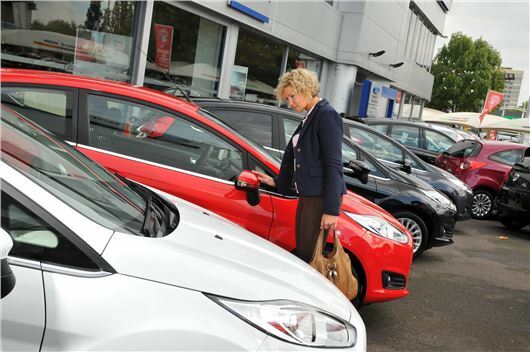 The biggest news to motorists is a right to reject a car for a full refund within 30 days of purchase if it is faulty. If a fault or problem becomes apparent within 30 days a car dealer is now obliged to provide a full refund immediately, whereas in the past they would only be required to offer a repair or replacement of a faulty component. After 30 days and up to six months after purchase, the dealer has one chance to provide a free repair before the buyer is entitled to reject the car for a refund, though in this timeframe it may not be for the full sale price. “Over time, and subject to some successful test cases in the courts, the new law should begin to squeeze the most dishonest dealers content with selling sub-standard stock out of the market. There will be nowhere to hide for those actively selling vehicles to consumers that, frankly, are better off being sold for parts – if not sent to the scrapheap.” He added. The new law covers unfair contract terms, too – which may be useful for buyers when leasing or financing cars. Hidden fees that are not clearly and prominently presented to the consumer when signing a contract can be disputed, with the potential for a refund. Additionally, consumers can now reject services not carried out with reasonable care and skill. This could make recourse against untrustworthy garages much easier – if a workshop has ‘bodged’ a repair and it isn’t of satisfactory quality, the customer will be entitled to a refund of up to 100 per cent. The Consumer Rights Act doesn’t just cover motoring – it applies to any kind of purchase, including digital video game and movie downloads, as well as mobile phone apps. The Act also covers product quality – products should be of satisfactory quality, they should be fit for their designed purpose, as well as any purpose made clear by the consumer to the seller at the time of purchase, and they should be as described.